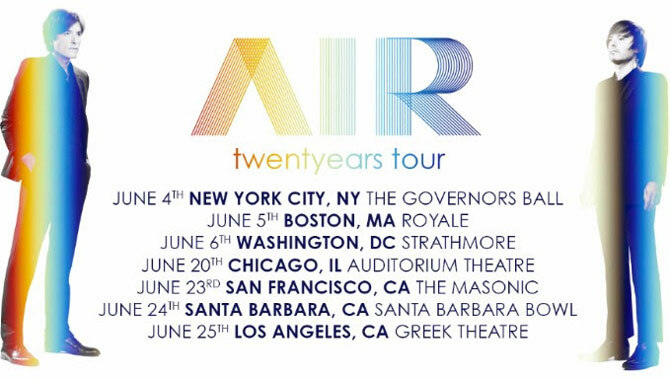 Air will also perform two shows in France, a concert in Singapore, and two in Sydney, Australia in May, returning to Europe for the star of the Tour De France in August where they will perform in DÜsseldorf with the legendary Kraftwerk. They will then make appearances at Paris' Days Off Festival with Metronomy and Jarvis Cocker & Chilly Gonzales, and Dublin's Beatyard Festival alongside Mark Ronson and Bananarama. 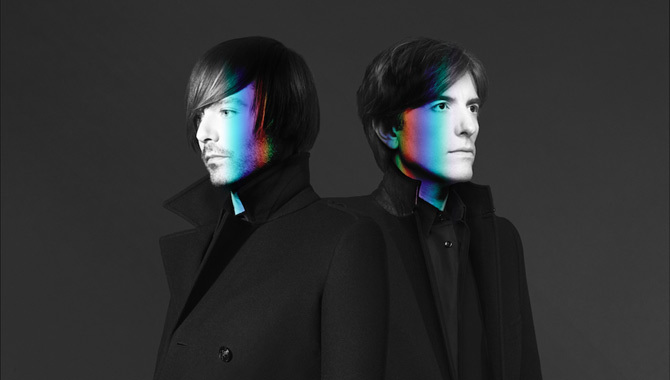 Last year, the French duo; Nicolas Godin and Jean-Benoît Dunckel; celebrated their two decades together with the compilation album 'Twentyears'. 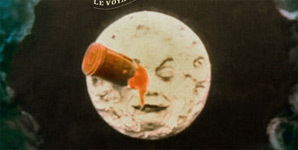 It was a double album spanning the best of their six studio albums from 1998's landmark debut 'Moon Safari' to their 2012 French release 'Le voyage dans la lune'. It also included 'Playground Love' featuring Gordon Tracks from their soundtrack to Sofia Coppola's 1999 film 'The Virgin Suicides', as well as tracks from their 1997 EP 'Premiers Symptômes', remix album 'Everybody Hertz', mix collection 'Late Night Tales: Air' and previously unreleased songs 'Roger Song' and 'Adis Abebah'. Plus, the album's limited edition featured a set of covers of artists like Beck, David Bowie, Depeche Mode and Neneh Cherry. Tickets for the US shows go on sale on April 7th 2017.